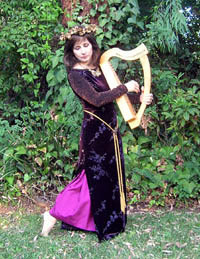 Click on the thumbnails for more information about each harp or other item. 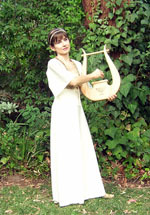 Call Stephanie at Harpworld Music Co. or email for availability and terms. PLEASE NOTE... 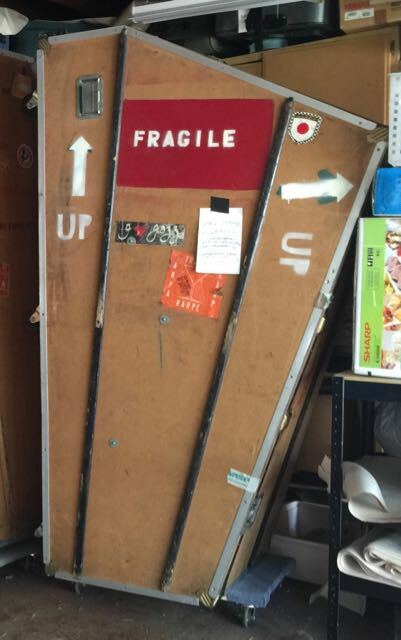 THESE ARE NOT PROPS! 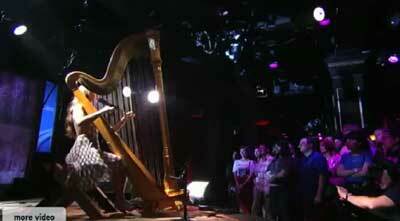 THAT ARE CURRENTLY IN USE by a PROFESSIONAL HARPIST. They are delicate, wooden instruments with delicate metal moving parts. Meaning: No dulling spray, no duct tape, no heavy smoke/fog, no soap bubbles in the vicinity, no playing them with sweaty and dirty hands, no spray-painting them gold, no leaving them in direct sun, no slicing cheese through the strings, etc. 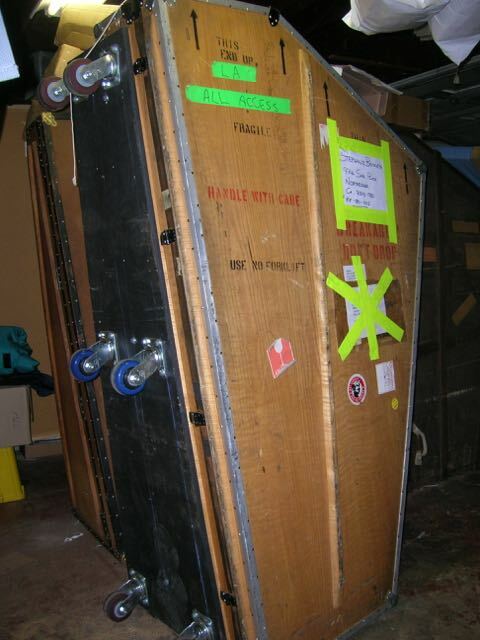 Insurance certificate (naming Harpworld as loss payee) is required. 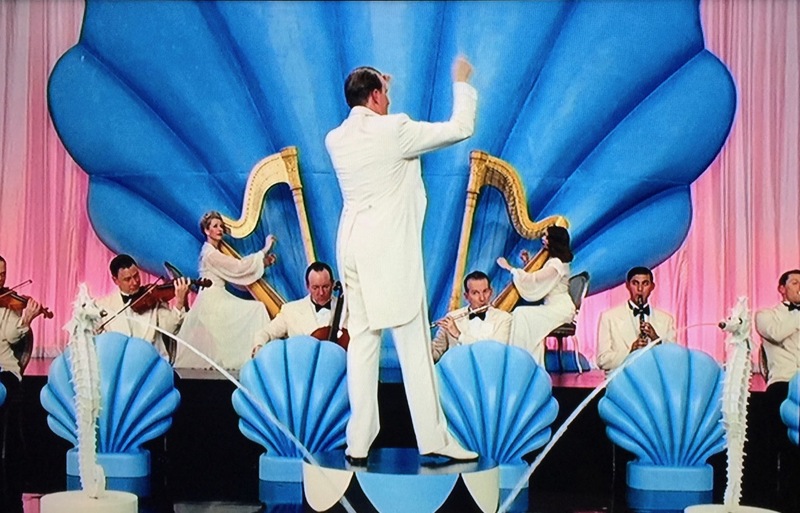 These harps have appeared in feature films such as Disney's "The Other Sister" with Diane Keaton, television spectaculars such as Celine Dion's Christmas special, Murphy Brown, Bones, Hart of Dixie, and Dancing with the Stars; magazine ads for KWXY radio and for HONDA DIVERSITY scholarships; billboard ads for some bank, and national TV commercials for Apple and for Visa charge cards!! 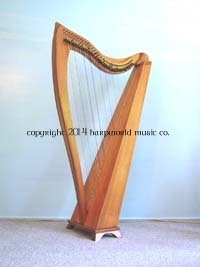 ALL PHOTOGRAPHS BELOW ARE COPYRIGHT © Harpworld Music Co, all rights reserved. If you would like to use these photos, please contact us for permission. 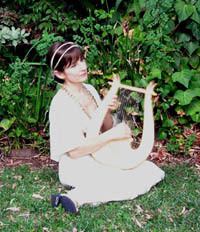 Medieval-style Ardival Harp, wire strings, 23 inches tall. 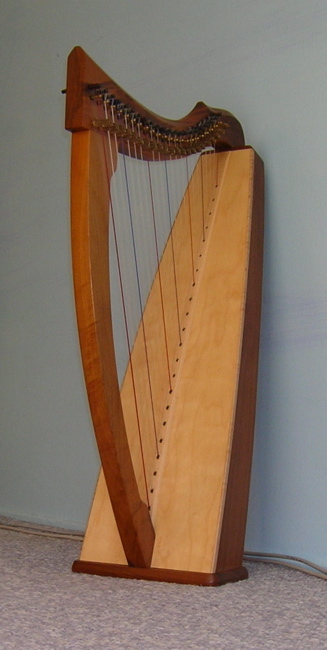 Walnut Wood Dusty Strings 'Zephyr' harp, 22 strings, 28 inches tall. Late 60's to early '70's vintage Oscar Schmidt autoharp, 23 inches tall. 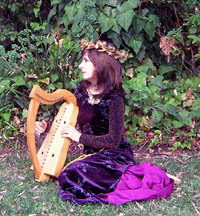 Call Stephanie at Harpworld Music Co. (Northridge, California) or email for availability and terms.